Parents of young children in Ontario and Nova Scotia are having trouble accessing flu vaccines, which health authorities say aren't simple to move around. Pediatrician Jacob Rosenberg in Toronto is one of the doctors telling families his shelves are bare after uptake of the vaccine was strong. "So far, the flu vaccine has been shown to be effective for greater than 70 per cent of the circulating strains," Rosenberg said. "People have heard about it and want to get immunized, which is excellent … Unfortunately we ran out and the word was that there was not going to be any other vaccine for the rest of the season, and it's still early." Danielle Plax brought her six-month-old daughter, Jessica, to Rosenberg's office hoping to get her immunized against influenza. The infection has been hitting children hard this season. "To not be able to give [it to] a baby at six months old, the highest-risk group, just seems absurd," Plax said with a sigh. So far this season, 10 children have died with the flu, according to the Public Health Agency of Canada's latest FluWatch report. The flu season in Canada occurs in waves and tends to run until April. As influenza A starts to wind down, another wave usually hits in March, infectious disease experts said. "Now influenza B can be particularly dangerous for children and to not have an opportunity to be covered against it is a shame," Rosenberg said. "I'm not sure how to solve that problem except for having more vaccine available." As pediatricians report falling short on supplies, Ontario's health ministry said in an email "there is sufficient supply of flu vaccine available in communities across the province." The disconnect, however, is that many of those doses are at pharmacies. Pharmacists in the province aren't permitted to administer vaccines to those under the age of five. 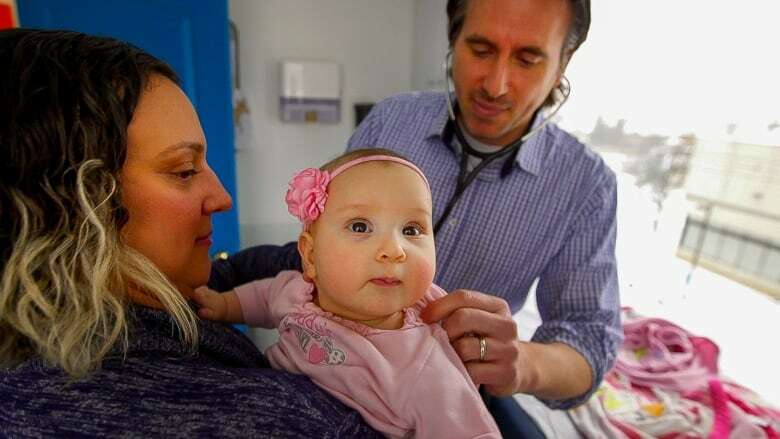 While it may seem simple to just move doses of vaccine from pharmacies to pediatric and family physicians' offices, strict and important requirements make it complicated, said Dr. Allison McGeer, physician co-lead for infection control at Toronto's Mount Sinai Hospital. Flu vaccines need to be kept within a narrow, cool temperature range without freezing the doses. It may seem like red tape, but having a vaccine change hands can threaten quality assurance, McGeer said. "It looks obvious that rules should be broken. But those rules are actually there for very good reason: to protect the safety of our vaccine supply." Last month in Nova Scotia, Dr. Robert Strang, the province's chief medical officer of health, sent a letter to vaccine providers asking them to ration flu vaccine supplies since there's no more to distribute. 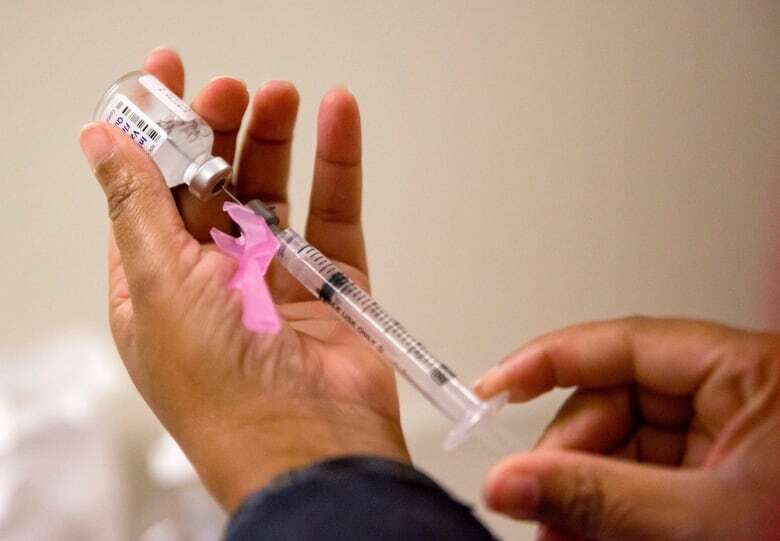 Strang said the first priority for vaccines should be infants who recently turned six months of age, since they would've been ineligible for the immunization in the fall, as well as children who need a second dose. Patrick Saunders-Hastings, an infectious disease epidemiologist at Carleton University in Ottawa, distinguished between redistributing vaccine supply (moving it from one place to another) and sharing, such as re-purposing vaccine supplies from adults to children. "I tend to be more supportive of geographic redistribution than I am of the 'sharing,'" he said in an email. For her part, after Plax was turned away by walk-in clinics, she said a family doctor reluctantly gave Jessica a dose of flu vaccine. Plax is still scrambling to get her daughter the second protective dose. An earlier version of this story cited an epidemiologist saying that children six to 35 months need half the dose of flu shot as those three years of age or older. In fact, the half dose is only required for the pediatric adjuvanted trivalent form of the flu shot, according to the Canadian Paediatric Society.